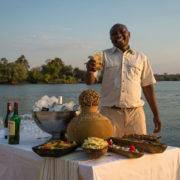 You are here: Home / Articles & News from the Bush / Guides / Hwange, a top African wildlife safari destination! Having recently hit world headlines with the senseless killing of Cecil the lion, Hwange National Park in Zimbabwe has been on my mind for the past few months. It’s a sensational safari destination that’s unique and happens to be one of my favourite places to take guests to. Let’s take a look at why it ticks so many of the boxes for me? One of the most important aspects of a great safari is definitely your guide. Thankfully, Zimbabwe has the most stringent guide licensing requirements in Africa. After two years of studying ecology, geography, vegetation, birds, wildlife, first aid, firearms & ballistics and environmental and tourism law, guides are able to write their Learners Theory Examination. A further two years of extensive mentor-ship enables them to then enter their final week long, and extremely tough, practical examination to ensure their knowledge and skills are of the highest standard before awarding them with their Professional Safari Guide license. Ultimately, the guide’s primary function is to keep you safe in wilderness where dangerous animals reign supreme. 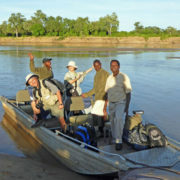 In this, Zimbabwean guides excel! Over the long period of their arduous training they not only learn the nuances of animal behavior but have also had compulsory practical experience in dealing with dangerous wildlife. The natural world is second nature to them not only in locating the wildlife but also in skillfully presenting the wonders of nature and where the flora and fauna fit together in the greater scheme of things. Reading a guests body language is a learned skill that is also developed over their long years of training, providing the best opportunity for the guest experience to be maximized. 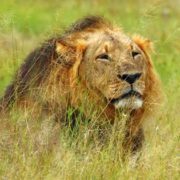 Hwange national park is a vast wilderness area! Named after a local Nhanzwa chief, Zimbabwe’s greatest park lies in the northwest corner of the country occupying 14,650 square kilometers (just over 3.6 million acres). The park was founded in 1929 and is a short 40min flight or comfortable 4 hour drive from Victoria Falls to Hwange. 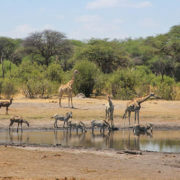 We love including Mana Pools in an itinerary too and a scenic 2 hour flight will easily connect you to the northern most corner of this spectacular country. 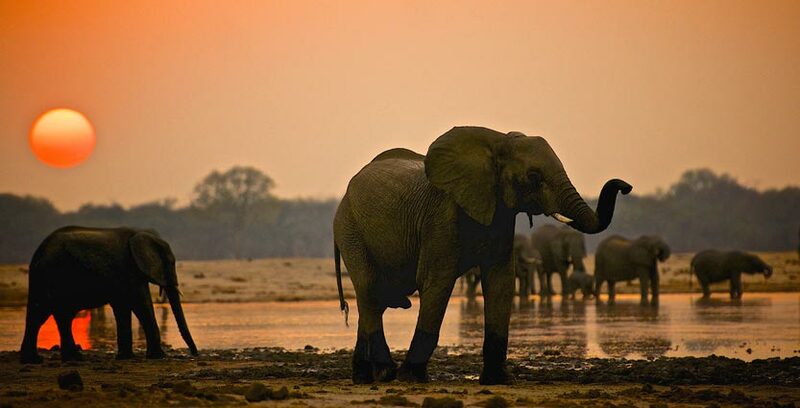 Blessed with Zimbabwe’s greatest wildlife treasures, Hwange is home to over 100 mammal and 400 bird species. Wild dogs, one of the rarer species to be seen on safari, are found in healthy numbers in the park and Hwange boasts one of the largest remaining populations in Africa. Over 35 000 elephants roam the Kalahari veld in search of consistent water sources, making this one of the best African safari wildlife destinations. On a recent trip to Hwange during a hot and dry October, Dan and I counted over 1000 elephants visiting the waterhole during the day, all in front of our camp! Many rarer species such as Roan, Sable and Eland can found in Hwange in good numbers and is one of the very few protected areas where Gemsbok (Oryx) and brown hyena can also be found in reasonable numbers. Safari camps in Hwange have an exceptional record of maximizing the benefit that conservation tourism provides to the local communities bordering the national park. Wilderness Safaris in particular has three camps in Hwange and is a company I was fortunate to have worked for, for many years. They do a stellar job of providing excellent employment, conservation education amongst school children, water in the villages, hospitality training and feeding programs for the little ones. A tour of an African village that directly benefits from your tourism dollars as a part of your safari is not only an eye-opening experience but also a very humbling one too. So many of life’s basic needs (food, water, shelter) are now met for these poor rural communities simply by the fact you have visited Hwange. Friends of Hwange trust is a non-government organization that was formed on the back of an extreme drought that hit the park in 2005. 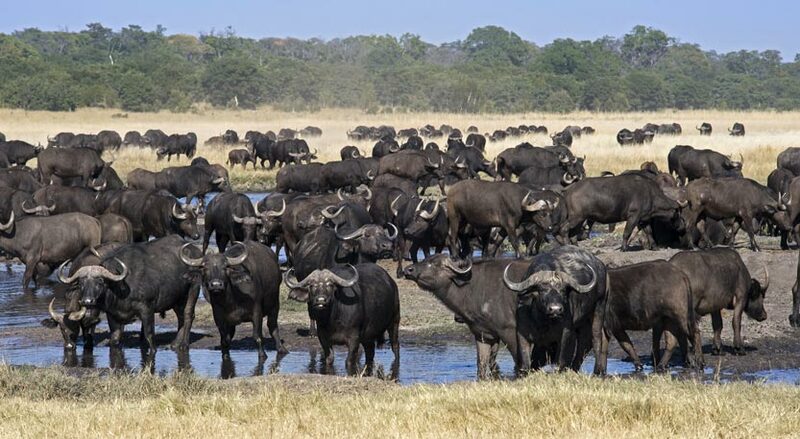 At that time, the country was plagued by financial difficulties and dwindling tourist numbers meant the local Parks authorities were unable to keep the boreholes going to provide precious water to the thousands of dependent animals. FOH stepped in and today are tireless in their work to maintain water boreholes, support and train anti-poaching teams and ensure the welfare and maintenance of one of Africa’s most diverse parks. Totally dependent on tourism dollars, their work is crucial to the continuation of conservation in Hwange. For many there is the perception that going on safari has to be way beyond their reach in terms of cost. 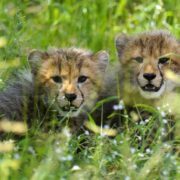 Certainly it is more expensive than your typical beach vacation, but in reality, there are multiple options available that can enable you to experience a safari on a reasonable budget. Hwange offers fantastic value for money all year round, but particularly in the shoulder and low seasons when prices are significantly reduced and wildlife viewing is still sensational. The great safari camps we use in Hwange offer phenomenal service, excellent guiding, extremely comfortable accommodation and truly exceptional wildlife viewing at very reasonable and affordable prices. To top it all off, this service is governed by strict, self-imposed conservation practices that reflect a true conservation ethos. 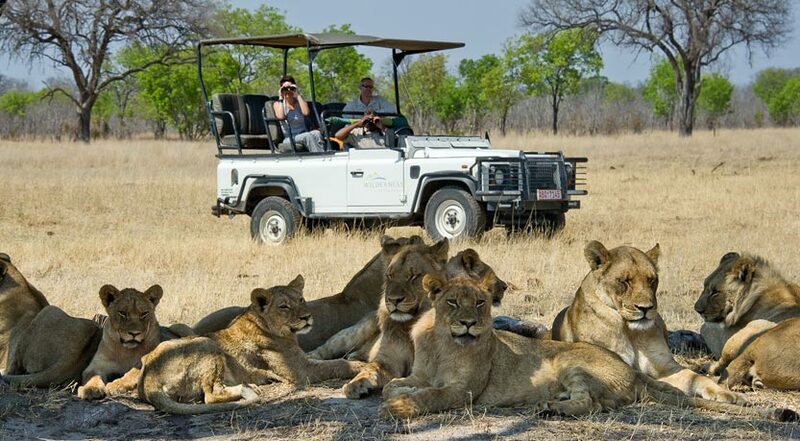 With tourist numbers relatively low, Hwange is underutilized by comparison with many other safari destinations, thus enabling guests to enjoy this vast and magical wilderness seemingly by themselves. Hopefully I’ve given you some understanding of why you should include Hwange in your next African wildlife safari – it truly is a magical experience and the memories will stay with you for a lifetime! 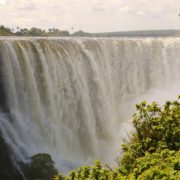 Top 5 Tips for the ultimate Victoria Falls experience in Africa! What Do You Want to Experience on Safari?